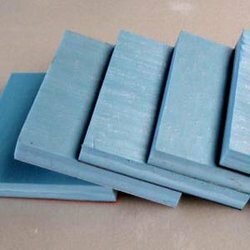 We are a leading Manufacturer & Exporter of Insulation Boards such as Phenolic Foam Insulation Boards, Phenolic Foam Board, Phenolic Foam Wall Insulation Board, Phenolic Foam Fireproof Board, Phenolic Foam Boards with Colored Steel, Phenolic Foam Boards Laminated and many more items from India. 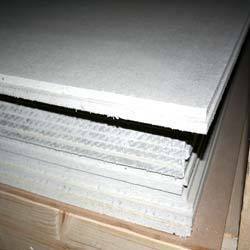 We are counted as the foremost manufacturer, trader, importer, wholesaler and supplier of a premium quality range of Phenolic Foam Insulation Boards. Offered insulation boards are provided in several sizes options for fulfill the requirements of customers. 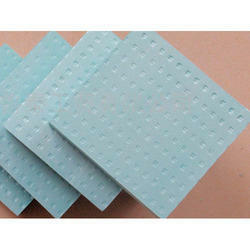 The insulation boards offered by us are manufactured utilizing high quality raw material and advance techniques in adherence with the standards of market. Also, we delivered these insulation boards at the clients’ end within the promised time frame. 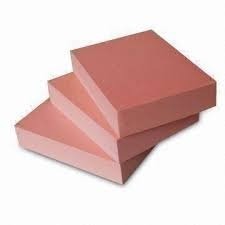 We are the prominent manufacturer, trader, importer, wholesaler and supplier of Phenolic Foam Wall Insulation Board that is free from HCFC and CFC compound. The offered insulation board is demanded due to its very small flame size, thus prevents spreading of fire and has very low smoke emissivity. This insulation board is offered in varied thickness options so as to meet the need of customers. In addition, the insulation board offered by us is checked on well-defined parameters of quality so as to dispatch a defect free range. Backed by rich industry experience and market knowledge, we are engaged in offering a broad range of Phenolic Foam Fireproof Board. Our board has a widespread application for interior partitions & construction of refrigerated vehicles. This board is manufactured from the high quality material that is best in terms of performance. Clients can avail this board from us at nominal prices in a given time frame. Looking for Insulation Boards ?